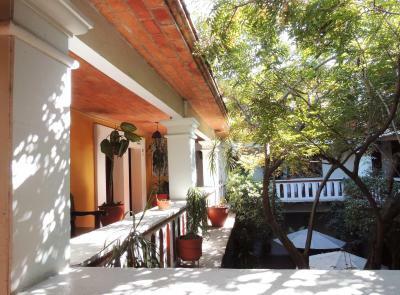 Lock in a great price for Parador del Dominico – rated 8.8 by recent guests! Beautiful building and inside courtyard. Our bedroom on the bottom floor was pretty quiet, very comfortable and had a little patio. I would suggest adding outdoor furniture for the patio. 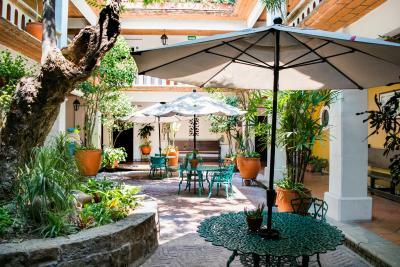 The place was super clean and has a lovely central courtyard, the location in awesome! Great breakfast and excellent service. Staff was friendly and hilarious. Great talking to them! Everything was fantastic! Great location and great rooms. I liked the location. It was very close to Santo Domingo and museums. They have free parking. Several eating options near by. The room had a/c and heating. The location was very good, a few minutes walking from the areas of interest. There is a cafe at a short distance that opens early in the morning for coffee. The room we had was spacious. Shower gel, soaps and shampoo, as well as two bottles of water per day were offered. Overall quite good value but with a bit more effort they could make the guests'stay much more pleasant. We were surprised how nice it was for the money. Great service every where. Front desk people speak English. The staff was helpful. The room was spacious and clean. The inner courtyard was attractive. The breakfasts were OK.
Parador del Dominico This rating is a reflection of how the property compares to the industry standard when it comes to price, facilities and services available. It's based on a self-evaluation by the property. Use this rating to help choose your stay! One of our top picks in Oaxaca City.This hotel is located in central Oaxaca and is within 5 minutes’ walk of Santo Domingo Church and Zócalo Square. 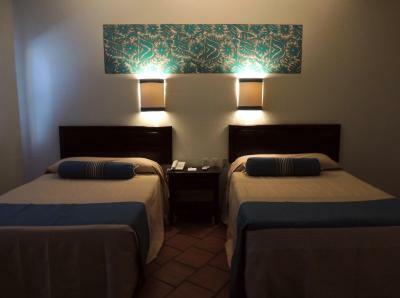 It offers massage services and spacious rooms with free Wi- Fi. 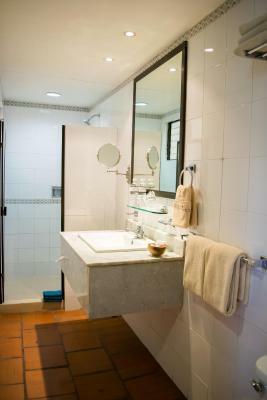 Parador del Dominico’s air-conditioned rooms include a private bathroom with hair dryer, free toiletries and two complimentary water bottles per day. 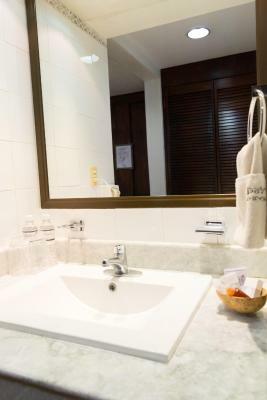 The rooms are also equipped with an ironing kit, a mini-bar, a safety-deposit box and a TV with cable channels. 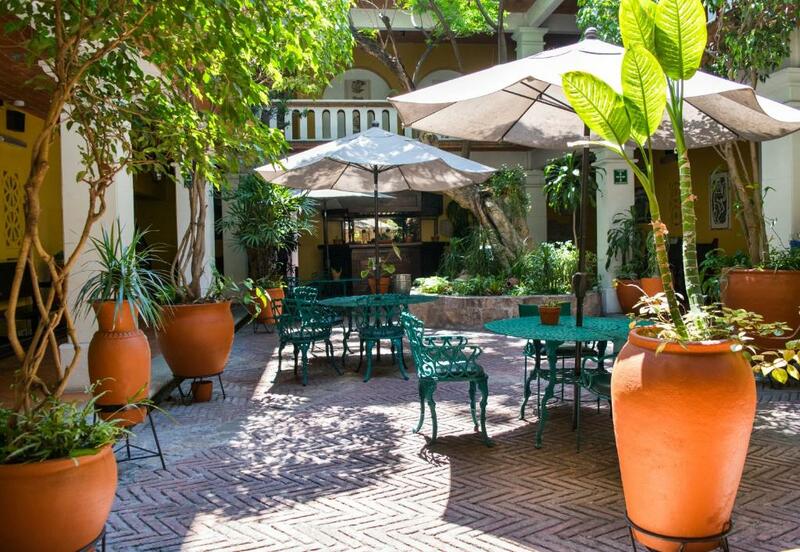 The Parador del Dominico’s restaurant serves Mexican and Oaxaqueña cuisine with breakfast being served from 7:00 to 14:00 hours. 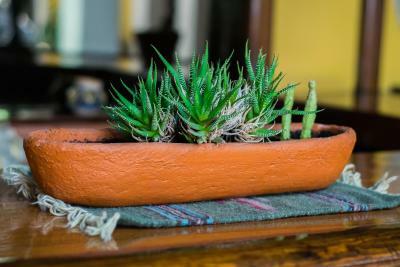 Guests can later relax on the terrace. 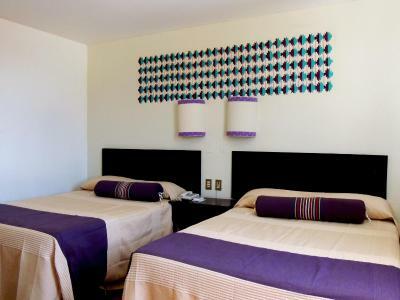 The Parador is 9 mi from Xoxocotlán International Airport. The hotel is within a 5-minute walk from the bus station. When would you like to stay at Parador del Dominico? 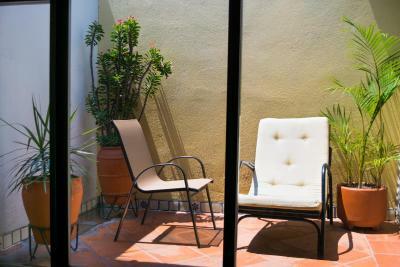 This spacious, air-conditioned suite features free Wi-Fi, LCD cable TV and a private terrace. 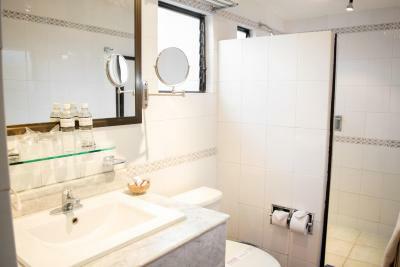 There is also a large bathroom includes a hairdryer and bathrobe. 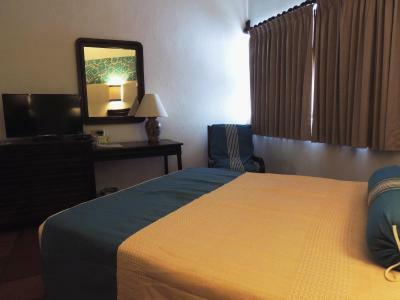 This charming, air-conditioned room features free Wi-Fi and cable TV. There is also a work desk, and the bathroom includes a hairdryer. Some rooms have a private balcony. Children under 10 years old can stay for free in existing beds. Maximum occupancy 4 people including children. House Rules Parador del Dominico takes special requests – add in the next step! 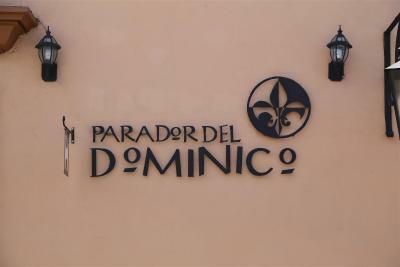 Parador del Dominico accepts these cards and reserves the right to temporarily hold an amount prior to arrival. Parking is available Monday to Saturday from 8 to 20 hrs. The restaurant they have is good but the breakfast that is included with the room fare is very limited, mostly when you are staying there more than a week long. 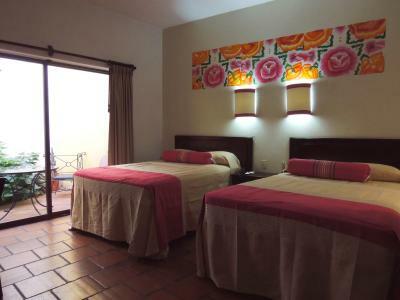 The hotel is beautiful, the rooms big, comfortable and clean, the staff super friendly. Their little patio in the center of the hotel is really nice to sit and relax. We had a room with our own patio which was really nice. Nothing to complain about. The restaurant is very american, not what I expect in Mexico. But in Mexico make sure you confirm the service that you get when paying for it. We got a taxi for a day and the driver did not have the AC working. Nothing to do with the hotel. Best service I’ve ever had at a hotel. The view of the room was towards a wall that was 1 meter away. A kind of stucked in fealing. You could hear every word of the people staying above us through the bathroom window. Felt like we were sharing the room and especially the bathroom with toilet with other guests. Traditional look of the hotel I liked the patio with the plants inside the hotel. Good beds. Good quiet sleep. This hotel mentions an airport shuttle, so when I arrived at the airport I called the hotel to let them know I had arrived. I waited at least 30 minutes and car with a driver arrived. I was under the assumption that it was a service the hotel provided to its guests. To my great surprise, when the driver and I arrived at the front desk I was asked to pay almost 600 pesos (about $33) for the ride. Keep in mind this is double what airport taxis charge. I protested saying nobody in the hotel mentioned the cost when I first called them. The desk person dismissed me, saying people know there's a charge. For that reason alone I will never stay there again. They didn't care and offered nothing in return. If I had known that I would have taken an airport taxi which would have been faster and cheaper. Shower head in bathroom sprays out when turning on. Great location, clean room, friendly staff. Very friendly and helpful staff', really enjoyed the adjoining restaurant, ( we purchased 'breakfast included' and were glad we did...great staff there, too). One night there was quite a lot of noise coming from drunk guests congregating in the central courtyard of the hotel. I called reception and they sorted it quickly. 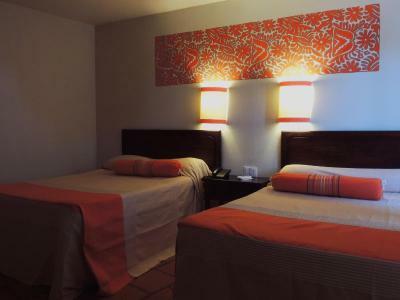 Clean and comfortable hotel in an excellent location. 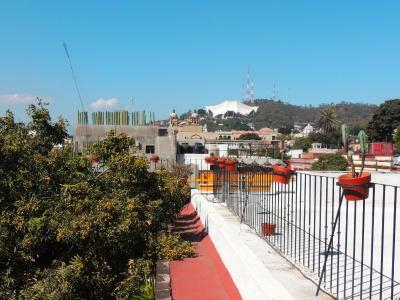 Directly opposite the best coffee in Oaxaca and a few steps away from some of the best tacos we ate there. Staff very helpful and friendly. The location was perfect, the room was clean and comfortable. I also thought the staff was really helpful and friendly. 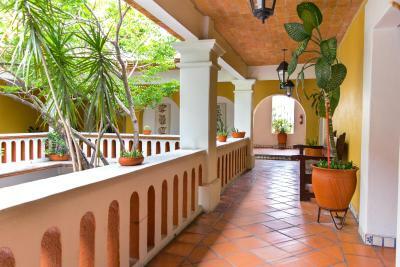 Professional hotel, excellent front desk and housekeeping, good hot breakfast option, solid WIFI, historic building, great location — only 5 minute walk to Plaza and Temple Santo Domingo. Staff were very helpful ! Very poor Wi-Fi in our bedroom. Staff not very friendly sometimes.